next Indie/Self-Published author featured will be. 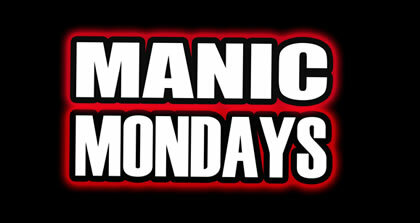 So before we get to this weeks Manic Monday Feature, I must tell you all that as of now (and not permanently) I am limiting my Manic Monday’s to the first Monday of every month. At this point, with my really really hectic work schedule, my own writing, and all the books I am reviewing – the weekly Manic Monday is getting to be too much. I am just not finding the time to read each of the featured books in the week it wins and I want to be fair to those requesting my review. Once my work schedule settles down a bit and I am closer to finishing Winter Solstice: Book #2 of The Harvest Series I will resume my weekly Manic Monday features. I will still be reviewing Invisible and this weeks winner as well, before I switch to the monthly feature. Thanks for hanging in there and supporting TTP! The Winner will be announced on Monday July 1, 2013 and new Indie Authors will be selected for the August feature. Also, Tell me if you’ve found outstanding Indie books (for FREE or PAID) that you think deserve a spotlight in our Manic Monday. Lets see, I worked a ton this past week and today is a relatively quiet day for me so far. I do; however, have to work an overnight shift tonight so I am sure this is simply the quiet before the storm, as usual. I suppose I will have to wait and see. On a better note, I have some exciting news to share with you all… Turn The Page has been nominated for the Leibster Award by the wonderfully sweet Mindy Larson! Thanks Mindy. So, we will be graciously accepting this nomination and I will be getting putting up a post specifically for this great honor. It was just too good not to share right away. And now onto this weeks Manic Monday winner…..
Just when I thought last Monday was Manic, this monday came creeping up and slammed me right in the face. It was a busy and hectic weekend as well. It’s actually hard to believe that May is just about over. Manic Monday’s have been going really well so far and I am looking forward to doing our second issue of Books, Blogs, & Page Turners this week as well. So lets see who our last Manic Monday winner is for the month of May, shall we? Today could not be closer to the epitome of a Manic Monday… hence my very late post. It was a long, crazy, hectic kind of day. I went to bed late last night, woke way too early and worked 12 hours preparing for a new store opening. It was rough. Thankfully I had my bloggy friend Angela right there along side me, helping me to get through it. I can only hope that today is not a reflection of the rest of the week, because if it is… I might not make it. With that said, I will say that Angela and I will be super busy with this new store opening, for the next couple of weeks so please bare with us if we lag at all. Believe me, I would so much rather be reading and blogging that doing what I will be doing.